South America. Endemic to (found only in) the northwest region of Colombia between the Atrato River and the Magdalena River from sea level up to 5,000 ft. (1,500 meters). Trees of the tropical rainforest and tropical dry forests. Diurnal, sheltering at night in tree holes and cavities. 10 to 15 years; occasionally up to 20 years. In the wild, feed primarily on ripe fruits and insects. Opportunistic feeders of sap using holes gouged by birds, insects, or rodents. Have also been observed feeding on other animals including small birds, lizards, and eggs. This primate family contains the smallest of New World monkeys, having non-prehensile tails, a non-opposable thumb, claws instead of nails, and moving quadrupedally. The Sanguinus species have canines that are much longer than incisors and are referred to as “long-tusked.” Males and females are not sexually dimorphic (i.e., males and females look the same). Adults weight: 0.8 to 0.9 lbs. (404 to 417 g) in the wild, 1.2 to 1.5 lbs. (565 to 700 g) in captivity. Head to tail length is approximately 9.2 in. (23 cm). The face is black; temples and sides of head are covered with short silvery hairs. There is a wedge-shaped mid-frontal white crest. The dorsal body surface is black or brown; underparts of the body, arms, and legs are white. 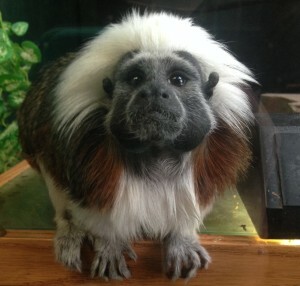 Most captive cotton-top tamarins live in monogamous pairs; however, in the wild, they do not have a monogamous mating system. It is common for suppression of reproductive activity in all but the dominant female member of the group. Gestation is 130 to 150 days. A litter typically consists of twins. Average newborn weighs 1.4 to 1.75 ounces (40 to 50 grams). Parental care is learned and shared by all group members. Mothers are primary caregivers during the early weeks of life. Fathers and older offspring play an important role in infant rearing as development proceeds. Since parental care is learned, it is important for siblings to gain experience in caring for infants. It is believed that the mother relies on helpers to share the burden of infant care. The frequency of twinning, a high infant to adult body weight ratio, and the energetic costs of pregnancy and lactation may be responsible for the active role of siblings and fathers in infant care. At 21 days of age, the young begin to explore their surroundings but continue to ride on the backs of parents until 6 weeks of age. Cotton-tops live in groups consisting of a dominant mating pair, their young of the year, and transient, subordinate animals of both sexes. Overall group size is 3 to 9 individuals. They have a complex vocal repertoire with at least 38 distinct vocalizations, including specific vocals for alarm, food, levels of aggression, and submission. 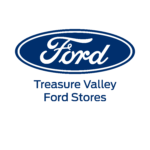 Facial expression is indicated mainly by lip movements. Emotions are expressed by movements of eyelids, ears, and the hairy adornment on the head. Colombia is one of the most biologically diverse countries and is second only to Brazil in overall numbers of plants and animal species. Given its size (one seventh that of Brazil), Colombia harbors greater concentrations of species per unit area than any other country on the planet. One of the biggest threats to cotton-tops, and to the Colombian diversity in general, is forest destruction; it is surpassed only by Brazil, in the Western Hemisphere, in terms of numbers of hectares deforested. Each year, more than 1,500 square miles (4,000 square km) of tropical habitat is destroyed. Threats to wild cotton-tops and many other primates in Colombia can be characterized as direct pressures to the animals themselves (e.g., hunting and live capture) or dangers associated with the loss of habitat. 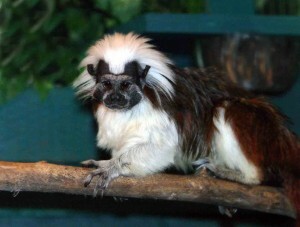 In the northern part of the cotton-top tamarin’s range, the majority of the forest that has been destroyed has been for large-scale clearance for agriculture or ranching purposes. The remaining forest patches in this part of the country generally lie atop agriculturally useless land (e.g., limestone outcropping, seasonally flooded river margins). The portions of the cotton-top tamarin’s habitat that lie in the foothills of the northern edge of the western and central Andean cordilleras face fuelwood collection and small scale agricultural encroachment threats of unknown intensity. However, the most damaging imminent threat comes from flooding of forest for hydroelectric projects. Colombia’s electric power is approximately 70% hydroelectric, yet only about 6% of the country’s hydroelectric power has been exploited to date. Planned hydroelectric projects for Colombia, if completed, would flood thousands of hectares of the country’s high diversity ecosystems. Fortunately, Colombia’s power sector has avoided any major negative environmental and social impacts resulting from hydroelectric compared to other countries. In recent years, under the terms of the World Bank’s power sector adjustment loan (loan 2889-CO), the Colombian central power agency (ISA) and its eight regional affiliates have undertaken a program to minimize the environmental impact of hydroelectric expansion under the National Power Expansion Plan (1993). Efforts have been made to develop methodologies for more stringent environmental standards for hydroelectric and thermal projects. Mast et al. (1993) provides a detailed description of the proposed hydroelectric projects and their probable impact on the natural resources of Colombia.